Contact Sally to discuss how DigitalBenchmarks Lab may help with your current needs, challenges and goals. Sally combines the skills of an engaging storyteller, a visual artist and a digital industry analyst to explore and explain technology with a healthy dose of common sense, an insistence on real world usefulness, and always with an eye on the human dimensions. Descriptions of services that DigitalBenchmarks Labs offers clients are below. Sally’s tech expertise started with her film photography and many hours in her basement darkroom. Then, she became one of the earliest pro photographers to adopt digital capture and processes. Editors quickly discovered that she has a knack for clear, memorable and even entertaining explanations of the technology. McGraw-Hill asked Sally and Daniel Grotta to write the first major book on the imaging, Digital Imaging for Visual Artists. 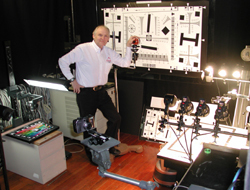 The Grottas also wrote several other books on the subject and the first articles on digital photography and imaging for various major publications, such as MacWorld, Popular Science and PC Magazine. Stretching out into related fields, Sally became known as a insightful analyst, great communicator and intrepid “bug finder.” Her reviews, analyses and feature articles on technology have appeared in: Extreme Tech, Family PC Photo District News, IEEE Spectrum, Tom’s Guide, Computer Shopper, CNET, Parade, Computer Buyers Guide, Laptop Magazine, Equip Magazine, Photo Pro and many others. During their long stint as Contributing Editors at PC Magazine, Sally and Daniel established the protocols and wrote the scripts for PC Mag Labs for testing and analyzing the functionality and quality of digital cameras, imaging software, scanners, and judging digital image quality, as well as for cross-platform systems competitive testing. That lead to the establishment of their own DigitalBenchmarks Lab where they expanded their test scripts to delve even more deeply not only into the functionality of tech, but also the human-tech interface. Sally continues to lead her team at DigitalBenchmarks, accepting periodic assignments from publications and private corporate clients. Every project is treated differently, with unique protocols, procedures and intents. Evaluate how well they will perform for the end user. Determine how they will be perceived by the marketplace in terms of value, desirability and competitiveness. Predict how they will be reviewed by the press. Analyze how they might be improved to enhance competitiveness, quality, value, performance, ease of use and profitability. Quantify and qualify other aspects of the user's experience and the product's potential for success in the marketplace. The extent and depth of the testing and vetting would depend on your needs; it may include tests and analyses of performance, timing, quality, usability, ergonomics, etc. Reports can include suggestions on how to improve your products/services before they are sent out to the press for actual reviews. DigitalBenchmarks can also provide insights on what to expect from the press and how to help reviewers recognize and write about your product's or service's strengths. As a followup to any of the above services, Sally can come to your headquarters or other venue to discuss DigitalBenchmarks' findings and suggestions with your marketing or development team, and/or to facilitate a brainstorming sessions. Clients find that such meetings provide their companies with invaluable outsider expert perspectives, while facilitating useful discussions. DigitalBenchmarks does head-to-head testing of the performance, ergonomics, quality, usability, etc. of a series of competitive products. The depth and breadth of the testing depends upon the client's timetable, requirements, purposes and budget. The resulting confidential report provides a clear picture of the competitive strengths, weaknesses and marketability of each product. If so desired, DigitalBenchmarks can also offer suggestions on how to improve your product's competitive position. DigitalBenchmarks can assist your research and development team at every step of a product's creation, development and production, including doing extensive real-world testing, and offering valuable comments, criticisms and suggestions for fine-tuning, improving and correcting problems. 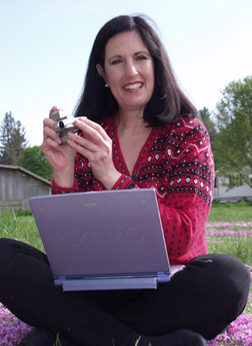 Sally Wiener Grotta is occasionally available for phone, web conference or in-person confidential consultations, to analyst and answer questions about the areas of the tech industry and types of tech products that DigitalBenchmarks covers (as long as such discussions don't impinge on previous agreements of confidentiality). Presentations at meetings, trade shows and other venues. TV, radio, video and internet interviews. Other in-person, online or video appearances. Go to the Speaker page on this site to find out more about Sally's dynamic, personable presentation style and rapport with audiences. Please use the Contact page to start the discussion with Sally about customizing a DigitalBenchmarks project to fit your particular challenges and goals.